She becomes the first woman to be recognized by the hall twice as she is inducted with Janet Jackson, The Cure, Def Leppard, Radiohead, Roxy Music and The Zombies at Barclays Center. 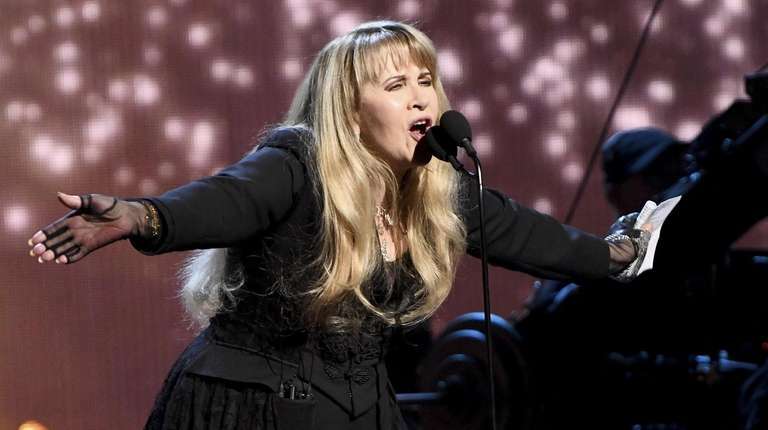 Stevie Nicks became the first woman to be inducted into the Rock and Roll Hall of Fame twice on Friday night at Barclays Center, opening the show with a masterful set filled with surprises. Nicks, proudly wearing the shawl she wore in the original “Stand Back” video in 1982, delivered that hit, followed by the ballad “Leather and Lace” with surprise guest Don Henley and her breakthrough hit “Stop Draggin’ My Heart Around” with Harry Styles, who inducted her. She closed her set with a stunning, eight-minute version of “Edge of Seventeen,” with guitarist Mike Campbell offering great solos. Nicks recognized that she was the first woman to be inducted twice — Friday night as a solo artist and in 1998 as a member of Fleetwood Mac — but she is determined that she won’t be the last. Jackson revealed that when she was growing up, she didn’t want to be a performer. She wanted to be a lawyer. The idea to become a singer came from her father and from seeing the success of her brothers, the Jackson 5. Rock’s biggest night also had several Long Island moments. The Shangri-Las’ “Leader of the Pack,” which was written and produced by the late George “Shadow” Morton, who was raised in Hicksville and lived in Dix Hills for many years, was one of six singles also recognized by the Rock Hall this year. In his acceptance speech, The Zombies’ Rod Argent offered a shout-out to Hicksville’s The Lemon Twigs for carrying on the band’s legacy.